The goal of the organization is to keep "Healthy Families, Safe at Home." Bergen’s Promise will provide exceptional care management services to keep youth and families physically and emotionally safe. 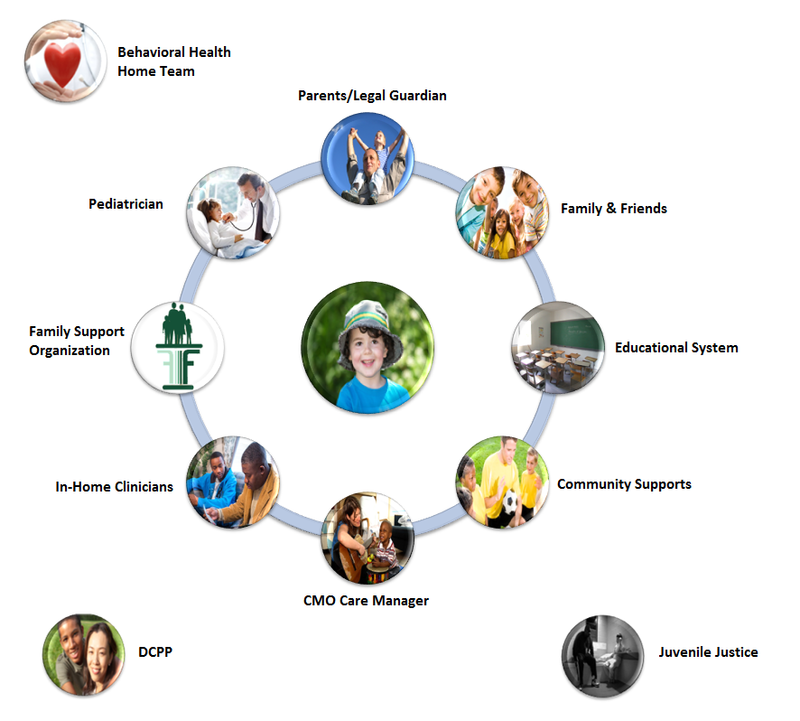 Wraparound care is an individualized planning process for care management that leverages the Child and Family Team and builds on a family's and community's unique strengths, values and resources. Our Behavioral Health Home services support youth with chronic co-occurring behavioral and medical health issues and enhances the Wraparound Model of Care to integrate both medical and behavioral health care. The key to successful wraparound is a team of family and community members guided by an experienced care manager who works to formulate the ideal array of local services & activities to benefit a child's growth and foster future success. Our services are built on each family’s strengths and delivered through a strong, coordinated network of community based providers. Leveraging the core values below, we strive to provide the highest quality of care that will produce the most positive results for the youth and families we serve. Youth and Family Safety - We value keeping youth and families physically and emotionally safe. We do everything possible to protect the families we serve. Accountability - We use our resources effectively to maximize the benefit to our youth and families. Accountability is best achieved through a shared sense of ownership and an individual sense of initiative. Performance Improvement Culture - A culture of performance improvement is achieved through objectivity, introspection, self-discipline, openness to change and focus. Strength based Philosophy - Our services are built on the family's strengths and lead to solutions that address the family's unique needs. Human Resources - Our staff is the central asset in keeping healthy families safe at home. We are committed to selective and diverse recruiting; professional development; goal oriented supervision; high staff morale; and retention through the recognition of exemplary performance. Partner Collaboration - We value competent, efficient, and effective community based care providers and resource partners, who offer diverse services that meet the various clinical and cultural needs of our youth and families. We expect our "Partners" to demonstrate teamwork, quality assurance and collaboration. Bergen's Promise offers unique, community-based wraparound services to families who have children with emotional, behavioral, developmental, mental health, and substance abuse needs. Keeping children healthy and safe in their home is our goal. Watch the short video on the right and download the guide below to learn more about how the wraparound process works to help plan and implement services and supports for your child or youth and family. Access the Spanish version of the Wraparound Family Guide. Each Child and Family team is comprised of people genuinely care about your child’s success. Loving relatives, close friends, teachers, clergy, care providers, and sometimes even the local soccer coach, all help to formulate the right mix of structure, guidance and support to help foster progress and future success. Who would YOU include on your Child and Family Team? Families receiving Bergen's Promise support that have a youth with specific chronic medical health issues, and a behavioral health challenge, are now provided with our Behavior Health Home (BHH) medical care services that includes a highly-trained nurse or Wellness educator as part of the Child and Family Team. This enhanced team allows for better coordination of a child's unique physical, medical and behavioral health care needs. Watch the video below to better understand the system of care, how it helps children get access to the help they need, and how your family can benefit from the services it offers. 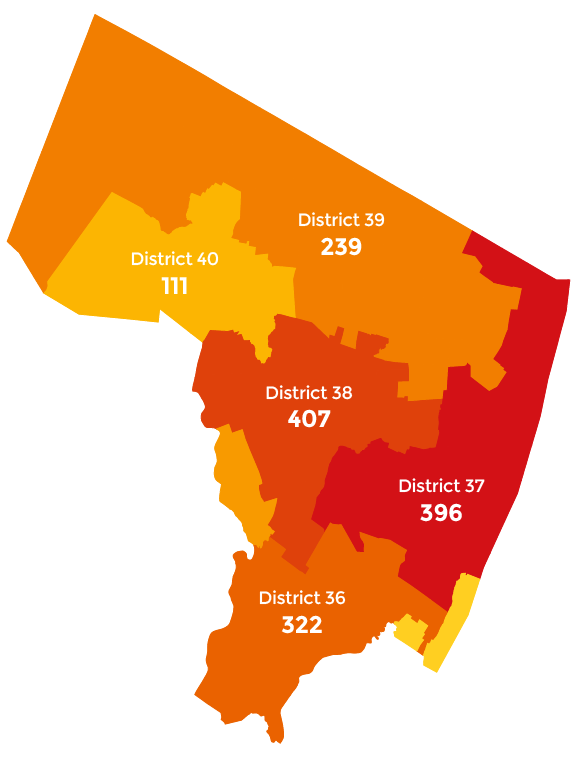 In 2018, we also served 155 youths outside Bergen County and 4 youth in the Woodcliff Lake schools. 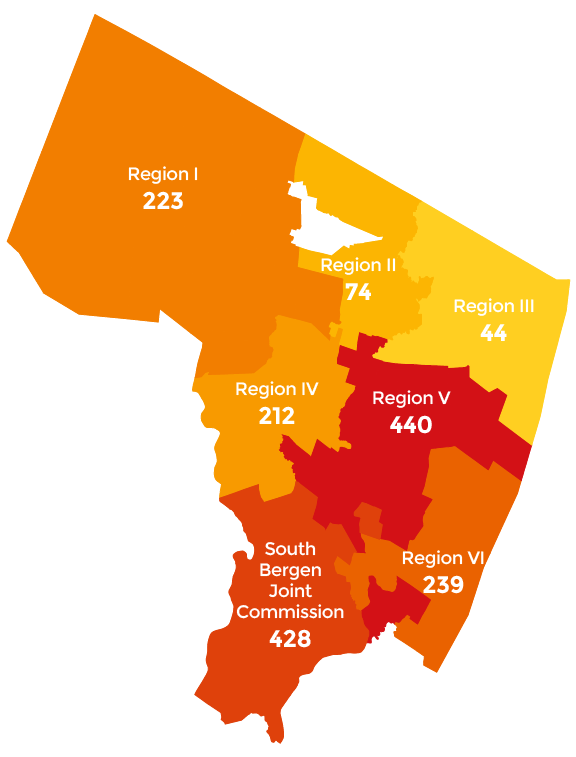 Youths outside Bergen county are usually their own guardians and participating in out-of-home treatment. The Bergen's Promise Trustees are comprised of parents of children with emotional, behavioral or developmental issues and are each personally committed to improving the quality of care available to families in Bergen County.